Skillshare has now added even more accounts to those that I suspect have been shadow banned, more and more instructors are reporting disappearing courses and minutes. 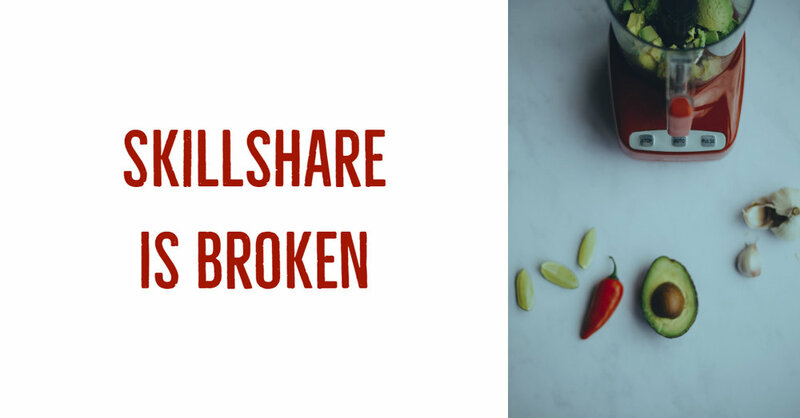 Skillshares value systems are fundamentally broken, that is what drives their culture and behaviour. They have displayed zero interest in the views of the instructors since they launched, which indicates that they operate in their own bubble. They shoot themselves in the foot, when they are shadow banning accounts, either intentionally or unintentionally (must be intentional as they have been spoken to about it), because who is going to create the new courses for them when this is happening to more and more instructors? Udemy listen to instructors and that is why Udemy are so superior. Might be a good time to check if your Skillshare courses are showing up in search. Skillshare recently changed the algorithm so that certain courses no longer show. So What Did They Say About It? When I queried this, they just gave me a "we use an algorithm" response. But here is where they might be missing the point. If I search for my "Social Media Marketing Masterclass" course using those title keywords, guess what? Now there are algorithms and algorithms, but if their algorithm cannot return an exact title match, then may I suggest their algorithm is broken? They have also hidden all my courses when you search for me by name. This practice is known as shadow banning. This is where a company does not remove your content, but removes it being indexed in search. It is a highly dishonest way of removing users from a site, because when you ask them they will say you have access, but they have really banned you from the site. Another comment was that they use machine learning to create these algorithms, if that is the case then I have to ask, what machine are they using for their machine learning? I recommend you check your courses and email them to point out the problem if you are also seeing it. My name is xxxxxx, and I'm a Community Manager here at Skillshare. Thanks for reaching about the search status of your class. First, I’d like to confirm that I’ve double checked and your class is open and viewable to students. We are constantly making updates to our search algorithm, which may affect where your class appears on Skillshare. This algorithm is machine-learning based and takes into consideration a variety of factors, such as current trending popularity, course topic, category, and length. Let me know if you have any additional questions about this. Have I slipped into an alternative universe and no one has told me about it? Should You Bother With Skillshare? Long term, if you have a strong focus on Skillshare, forget about it, focus on Udemy instead, at least they communicate with the instructor base, Skillshare do not even have a Facebook group where instructors can talk to them, which shows how much they 'value' their instructors. I suspect that Skillshare believe that they have to constantly put new courses in front of their subscribers, so prioritise new courses over older courses, even to the hiding of older courses from search. But do the students want that? I think they want to access courses that are are high quality and relevant, Skillshare don't seem to grasp that if this recent algorithm change is anything to go by.